Posted on January 12, 2014 by Elizabeth E.
Finished the inner top. 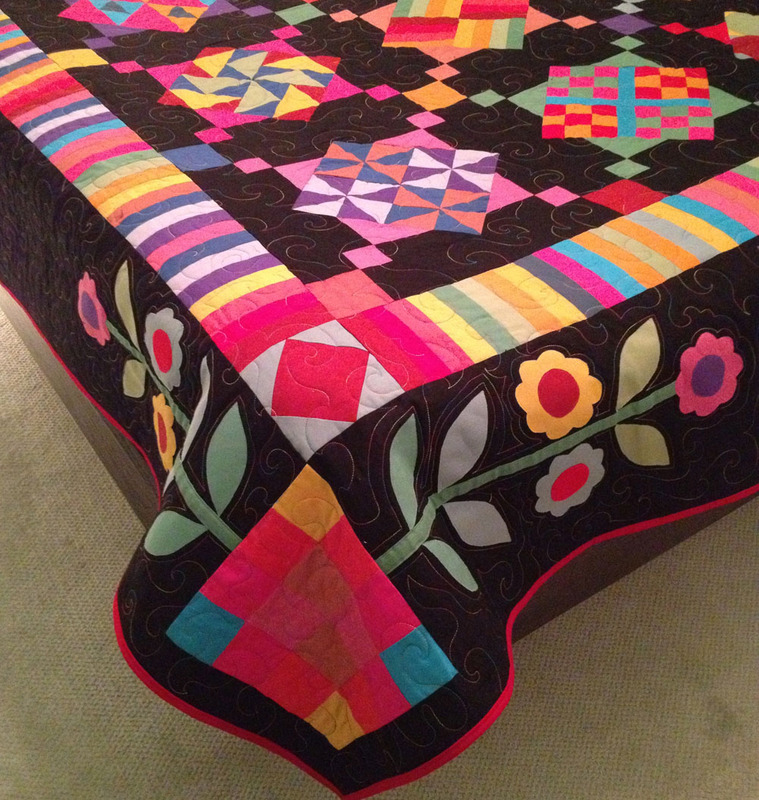 Put on two borders and still have one border to go this gigantic quilt (finishing at 105″ square). What was I thinking? I was thinking I loved the colors, the sparkle of the brights, and the use of solids. This picture is titled Border Fail. They sent me 2 5/8 yards of Blue Coal (it’s a nighttime photo, so all the colors are wacky), and after dinner I was tired but wanted to push on to finish the quilt. So I came upstairs and whack, whack, whack started cutting crosswise strips to piece together for the outside border. After I’d cut about half the strips, I realized they sent me enough to do a lengthwise cut for that outside border, which would really stabilize the quilt. I slumped into my chair, and yes, got all teary about how dumb I was. I was tired. My husband said some “there, there, theres” and I ordered a new swath of Blue Coal from an online shop, which should be here by the end of next week. Here’s Amish with A Twist–Version I, and it’s really big, too. 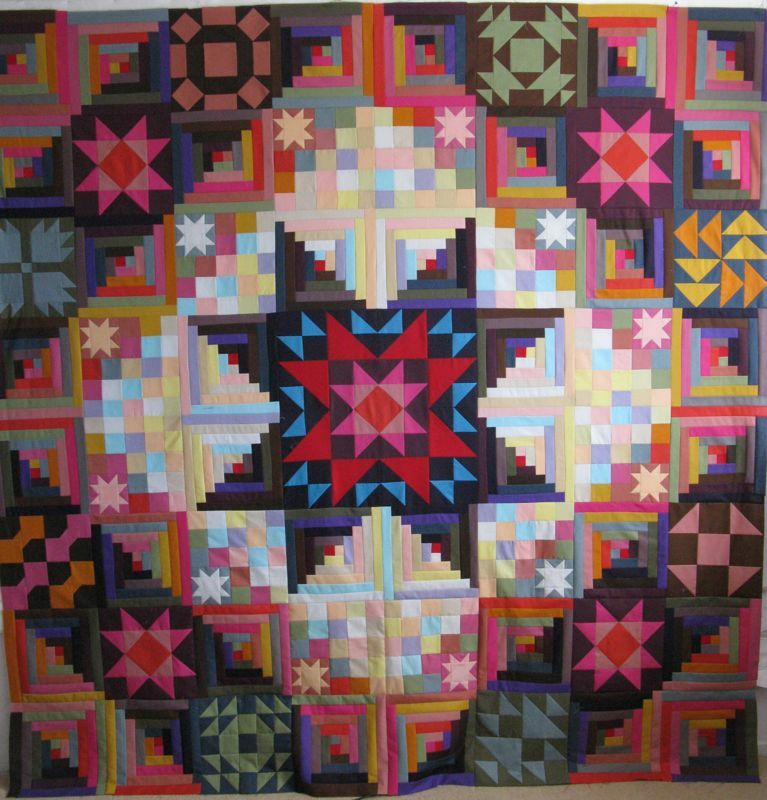 Found this on the web when I went searching for ideas on how to quilt my quilt. Which won’t be done until NEXT week now. 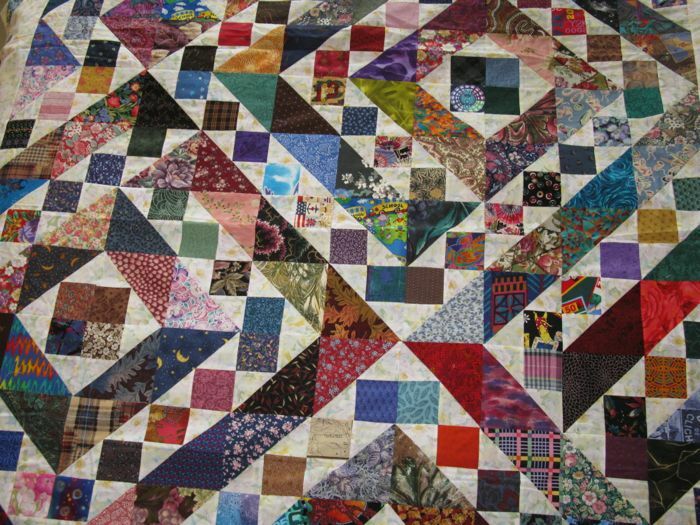 So the center of my version, Amish With A Twist-2, is this lighter set of fabrics, so that would call out for beige or cream or light gray or something. But then the outer is darker, so that indicates black or dark gray. 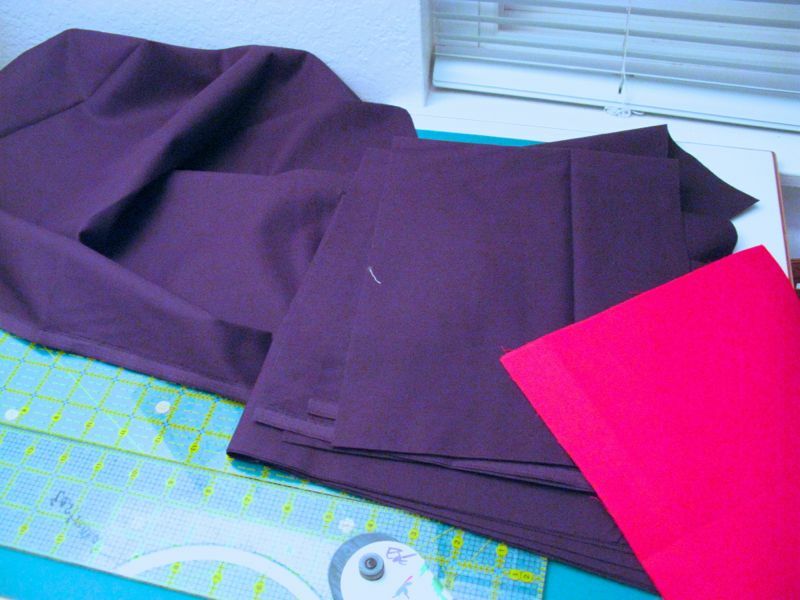 And I’m having this done by my long-armer, and to keep it affordable, I’ll probably do an edge to edge design. 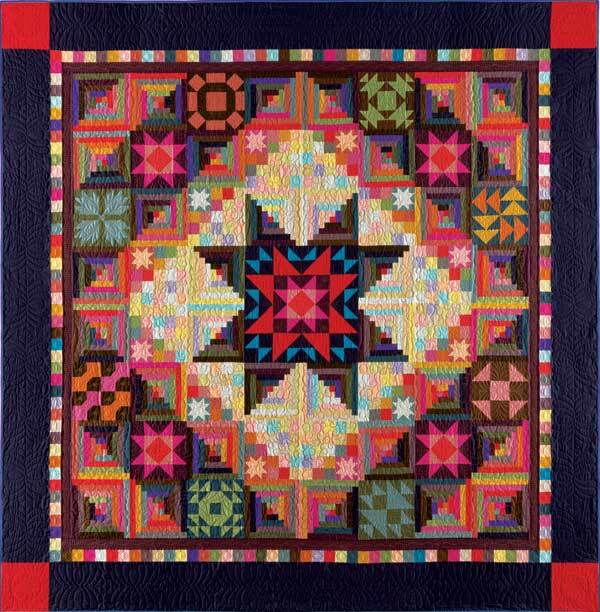 This quilter had hers done in colorful variegated thread, which she showed on another page. That’s certainly an option, as it does melt into the light-colored fabrics. But I’m not too crazy about how it looks on the dark black. My version doesn’t have that dark black thing, so maybe it will be okay. What would you choose? Road to California is coming up in a couple of weeks and I can pick up some Superior Thread there. Any ideas? And if you are going to Road to California, want to try for a meet up–say Friday, late afternoon? That will give the out-of-towners time enough to get there, and by then, I’ll be ready to call it done for the day. If you are going, leave a comment, and we’ll figure out a place. Possibly near the ice cream cones. Or cookies. Reminder: my blogging software will occasionally place an ad on this page. It’s the way I can keep blogging for free, so it you see one, it’s for them–not for me. And the Razzy Award Goes To. . .
Posted on April 19, 2013 by Elizabeth E.
I’ll get that in the mail to you today! Thought I’d show you some of the ancient projects that didn’t make the cut into the Finish-A-Long group. 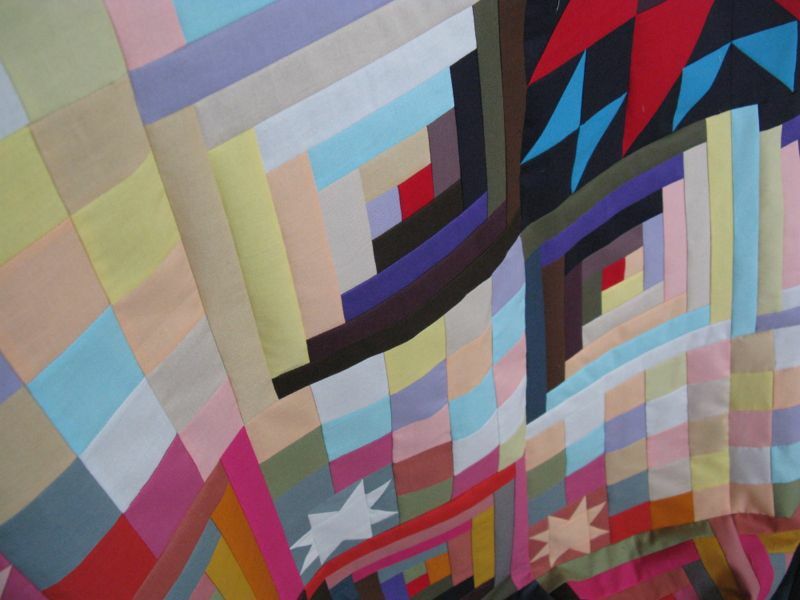 This was a quilt done during our Millenium Year–you know 2000, when all the computers were going to quit and the world was going to end. I have some a snippet of fabric that says “2000” on it. I pulled out all my old projects and had my husband help me evaluate them. He kind of shook his head and said, “Yeah, I’m not quite sure if this is worth your time to finish.” Agreed, but this doesn’t get the Razzy Award. This gets the Razzy Award. Note the outdated colors of burgundy and forest green, the precious pre-printed Currier and Ives-type panels combined with Santa Claus motif fabric. 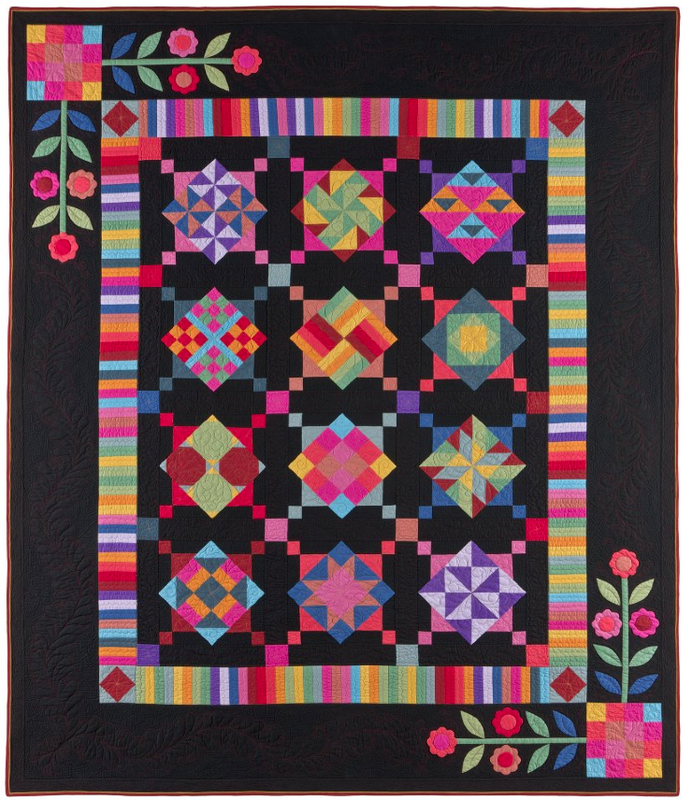 I never even listed it on my 100 Quilts list (the other one is). I mean, at the time, I thought it was “all that” as one of my friends says when referring to someone who convinced they are God’s Gift to Mankind, but we all know that all things pass away, even a passion for burgundy and forest green. 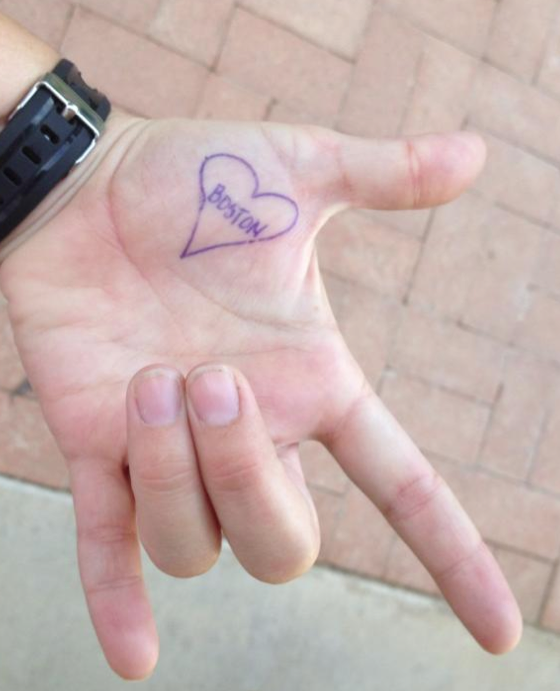 And I’m listening non-stop to the news about the Boston Marathon bombers, probably just like the rest of you. I’m glad at times like this to have the cloth under my fingers, keeping my hands busy while I still think about the sad events of this past week. Take care of yourselves! My daughter’s hand. Thanks, Barbara.